Globe Telecom announces the availability of BlackBerry’s QWERTY flagship, BlackBerry Q10, under MySuperPlan 999 with a Php 500 cashout. The device will be available only in Globe in the first 30 days of its Philippine release on June 7. The postpaid bundle comes with unlimited LTE surfing of up to 42 Mbps and a monthly consumable peso-value amount which can be converted to avail of call, text and surfing combo services. Built with precision and offering premium performance in a signature design, the BlackBerry Q10 smartphone combines BlackBerry’s best physical keyboard and a touch screen with the power of the BlackBerry® 10 platform to help users communicate and collaborate faster and more efficiently. 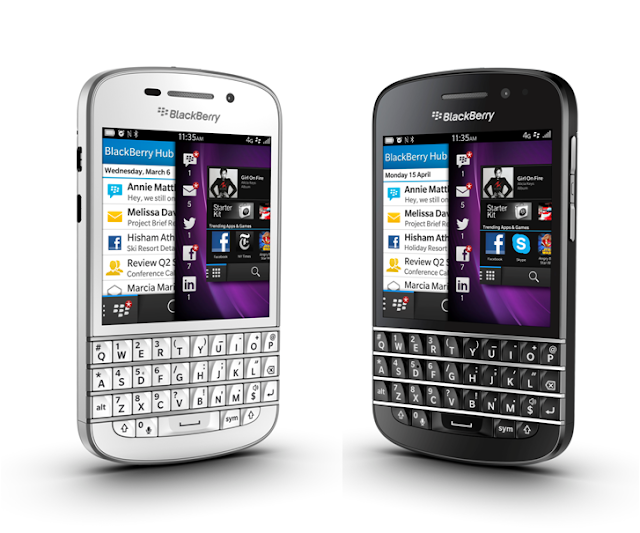 The BlackBerry Q10 includes advanced hardware, communications and multimedia features, and provides long battery life that lets users confidently stay ahead and take action all day long. The re-designed, re-engineered and re-invented BlackBerry 10 platform offers a powerful and unique new mobile computing experience with features such as the ever present BlackBerry® Hub, which brings all conversations together in one easy to manage place that can be accessed any time, BlackBerry® Balance™ technology, which elegantly separates and secures work applications and data from personal content, BlackBerry® Remember, which helps users tackle tasks quickly with a new way to collect, organize and action all the information sitting in different places , and BBM™ (BlackBerry® Messenger), which lets users share things instantly. BBM in BlackBerry 10 includes voice calling and video chat, and lets users share their screen with another BlackBerry 10 contact.